Long-term care facilities must be compliant with the Requirements of Participation in Phase 3 by November 28, 2019. This phase introduces several items that have never been surveyed before, including the full implementation of a compliance and ethics and QAPI program, presence of a qualified infection preventionist, and certain staff training requirements. During this 60-minute webinar, industry expert Stefanie Corbett, DHA, will review survey trends for Phase 3 Requirements of Participation and address specific challenges that long-term care facilities are facing. She will also teach participants how to develop staff training strategies to meet compliance as well as tactics for mitigating survey citation risk. Stefanie Corbett, DHA, is HCPro’s postacute regulatory specialist. Corbett has served in various senior leadership roles in postacute care organizations. 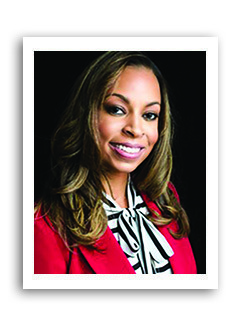 She founded a healthcare consulting firm based out of Charlotte, North Carolina, in 2014 to assist postacute care organizations with regulatory compliance and operations management. No problem. The On-Demand version will be available. Use it as a training tool at your convenience—whenever your new or existing staff need a refresher or need to understand a new concept. Play it once or dozens of times. A $149 value! Participation in the webinar is just $149 per site. All materials must be retrieved from the Internet.